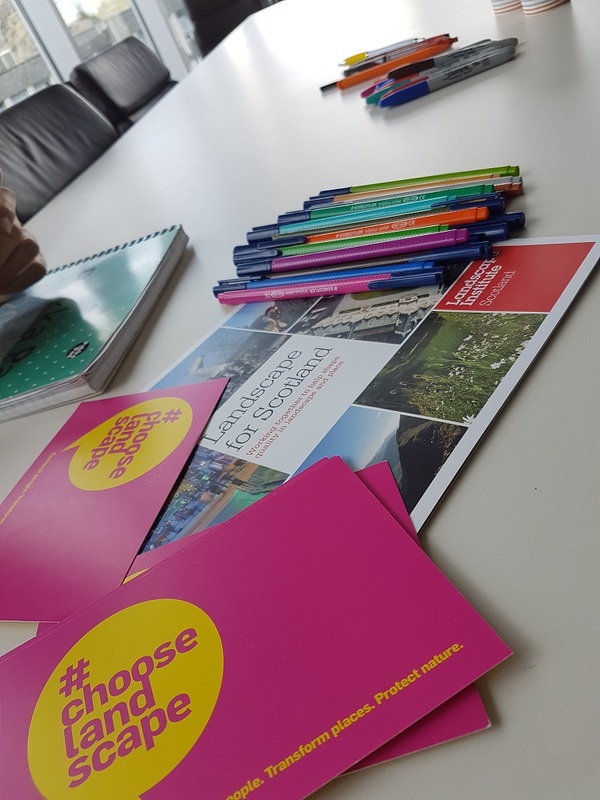 On Friday the 24th of August, ECA hosted the first Young Landscape Architects’ Knowledge Exchange with support from the LIS and sponsorship from AECOM and TGP Landscape Architects. The day was spent talking prospective landscape architects through day to day life in practice, informing them about different routes into the profession and giving them a crash course on design principals and place making. We started the day with LIS committee member and student representative, Alex Burton of LUC, defining landscape architecture for the attendees in a talk titled ‘What is Landscape Architecture?‘ This got everyone on the same page for the day ahead, giving a clear idea of what the aims of the landscape profession are and some fundamental reasons that it might appeal as a career. Then a group of graduate landscape architects, including Bobbie Nicol of Wardell Armstrong, Peggy Tsang from AECOM, Meg Johanssen from Sustrans and Caitlin Dawson from HTA Design each gave a presentation titled ‘A Day In The Life of a Landscape Architect.’ Coming from a variety of different backgrounds, including small private practice, larger multidisciplinary companies and public sector charities, this gave the students a good idea of how wide ranging landscape architecture is as a profession. Meg Johanssen led the design principals crash course. She based this around the place standard, explaining how this can be used to examine where improvements can be made in a space and how it can be used to focus in on the design areas most important to the brief. 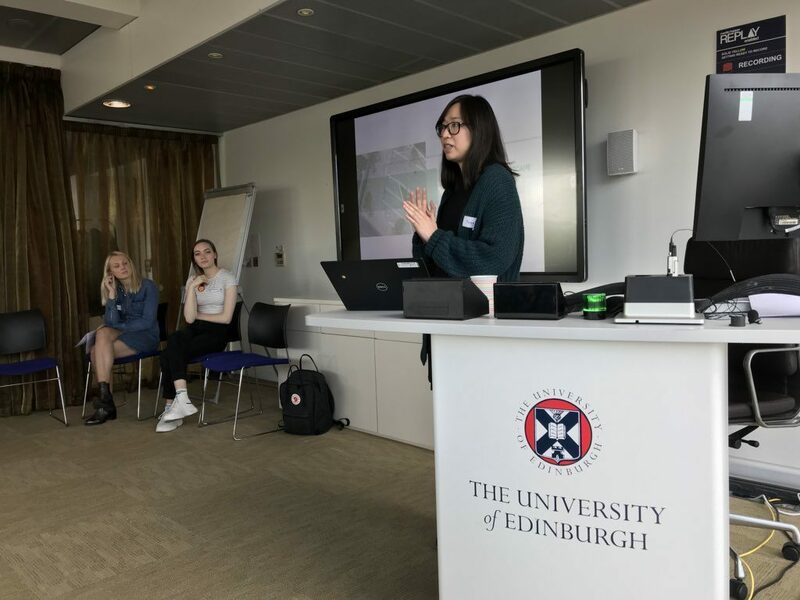 She then had the attendees, including graduate landscape architect speakers, split into two groups and each select a brief to work with in the afternoon’s design exercise – redesigning the Meadows in Edinburgh. These two groups took their place standard sheets out with them to the Meadows, where we conducted a short site visit where each group was encouraged to rate the quality of the space according to the place standard. After lunch the fun began. The two design groups sat down to start their designs for the Meadows, according to their selected brief. 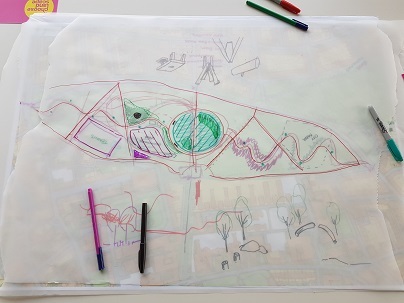 The group that selected the brief requiring them to redesign the space to make it suitable for an endangered butterfly population whilst keeping it open for public use had a wildflower bed running down the entire south side of the space, with heavier tree density along the northern side. They decided to pedestrianise the road running through the Meadows in order to create a more unified greenspace and to move the tennis courts and playground further north so as to create space for a SUDS pond amongst the wildflowers. They then decided to link the wildflower beds to the rest of the meadows by expanding upwards, with living links strung between the trees and possibly extending out of the Meadows to other greenspace around Edinburgh. They then designed a series of terraced planters that would be side enough to use as benches, creating the most direct link between the needs of the butterflies and the needs of local people. The other group chose the brief requiring them to maximise the education potential of the Meadows. They completely reimagined the current layout, creating a winding path running from east to west that would lead visitors along a path marked by artwork created by local schools. This path was bisected by a large pond in the middle of the space, designed to have heavy planting down one side to act as a safe space for local wildlife and with a bridge running across it to allow people to better see what was happening in the water. They designated a space as an outdoor classroom for use by local schools and set aside a small area to be wooded with native trees. They rounded off their design by adding distance markers on the path circling the Meadows to make it easier for runners to see how far they’d gone. 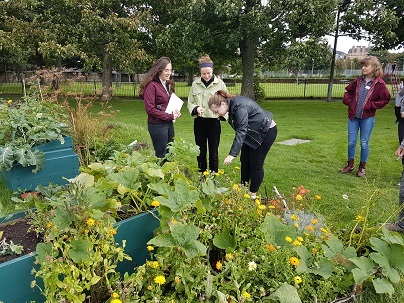 Once the groups had presented their designs to each other, Rachel Howe of the Landscape Institute gave a talk on different routes into the profession and where to find further information before talking about some of the work that the Landscape Institute Scotland does. The floor was then opened up for questions, with the attendees able to speak to the graduate landscape architects about various concerns they had as undergraduates and pre-university students. This question and answer session turned into an informal group conversation that continued for the rest of the afternoon.